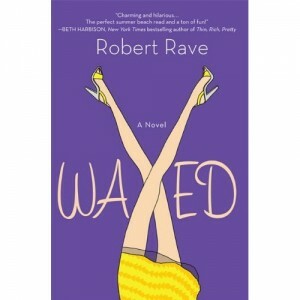 I think I now have a new favorite author…Robert Rave! This book was not what I expected, but oh my…is it a good one! I love the story line, the people in the story, and the fact they are sisters…each with different things they need to deal with in life. By the end of the story you are so caught up in it you have got to see what happens at the end of it. Caroline is the owner of the Salon the 3 girls all work at. She truly wants it all…has a boyfriend and another man she is in love with…can’t decide what she wants, or more “who” she wants. Anna is one of Caroline’s sisters…who is recently divorced with 3 kids…one of which you will learn has definite problems in life. Her husband decides he can’t handle the problems and leaves…then later on comes back to tell her he loves her. In between her work at Caroline’s salon, and a lady who has hired her to be her companion in her last days, Anna has a lot on her plate. Then add to it JJ’s meddling into Anna’s personal life makes the story that much funnier! The younger sister Sofia is a little bit of both sisters who truly have a lot she needs to deal with in life. A husband and a best friend…….with a twist… Never seen the twist coming in a million years, but man was it profound. Not sure what I would do in her shoes, let me tell you. Waxed is a great read, totally will recommend it and pass the book onto others! Fun to grab a cup of coffee; curl up with a blanket and a fire on a cold night!